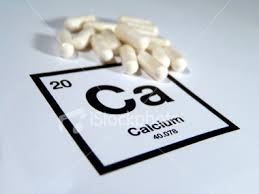 Calcium supplements do not increase risk of cardiovascular disease. Previous studies have provided conflicting information on the role of calcium supplements widely taken by women for bone health. A new research study published in the Osteoporosis International journal did not find that calcium supplement intake increases the risk of cardiovascular disease in women. The population group studied consisted of 74,425 women in the Nurses’ Health Study and they were followed for 24 years, with Calcium supplement intake assessed every four years, to examine the risk of heart attack and stroke. In the 24 years of follow-up, there were 2,709 heart attacks and 1,856 strokes. “Our study has several distinct strengths compared to prior studies including the large number of participants, long-term follow-up, large number of cardiovascular events that were confirmed by medical record review, detailed information about diet and other cardiovascular disease risk factors, and repeated assessment of calcium supplement use over the 24-year follow up period,” said Julie Paik, MD, MPH, BWH Channing Division of Network Medicine, Department of Medicine, lead study author. In general women who took calcium supplements had a healthier lifestyle, with higher levels of physical activity, smoked less and had lower fat trans intake compared to women who did not take calcium supplements. ← Middle schoolers at increased risk of binge drinking.